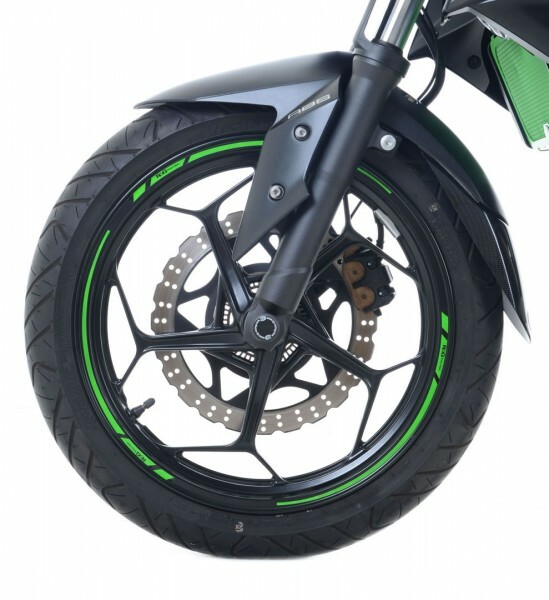 Produktinformationen "R&G 16-Stück Modular Motorrad Felgenrand Aufkleber"
R&G Felgenrand Aufkleber is designed specifically für 17 Motorrad wheels. Using only the highest-quality material available R&G's Felgenrand Aufkleber is designed to give years of service! Available, in a large range of colours und thanks to its 4-Stück (per wheel side, 16 in total) modular design, there's a set of Felgenrand Aufkleber für everyone no matter what colour/style your bike is! Allowing the rider to use 2,3 or 4 Stücks per wheel side. R&G Felgenrand Aufkleber is designed to easily install on any 17 Motorrad wheel with no specialist tools or techniques required. Weiterführende Links zu "R&G 16-Stück Modular Motorrad Felgenrand Aufkleber"
Kundenbewertungen für "R&G 16-Stück Modular Motorrad Felgenrand Aufkleber"